Are you feeling sleepy in class? Is your school work becoming harder to finish? You may not be getting enough sleep. The amount of sleep your child gets can directly affect their ability to think, problem solve, and memorize. These key things will affect how they do on quizzes and tests, so assist in developing regular sleep and wake up times to ensure each child performs to the best of their ability! Have students reflect on how they feel following a poor night’s sleep. Incorporate information on sleep hygiene and the benefits of adequate sleep on learning and mood. Teach them how important it is to give their brains a rest to be ready to learn the following day! Sleep. It’s more important than we think. Watch videos about why sleep is important and find more information to help both you and your child sleep well! Help pack your own lunch and snacks with fruits and veggies. You can ask for fruits and veggies in your snack programs at schools. Include your children in packing their lunches and snacks for school! Consider volunteering with your breakfast/snack programs at schools to get fruits and veggies on the menu. Support healthy eating in the classroom by offering non-food or healthy food fundraisers, classroom parties and rewards and incentives. Bored of taking the bus to school but still want to travel with your friends? Walk, cycle, run or scoot to and from school! During recess or lunch break play your favourite game with your friends or make up your own. If you are allowed, use the gym for a quick workout before your next period! Pack clothing for both indoor and outdoor play so your child can be ready to take part in activities in any season. Help your child walk, cycle or scoot to school! Work with school staff to help add in more physical activity into the school day. Incorporate movement into classroom routine and transform learning spaces to facilitate movement (i.e., desk arrangements, standing desks). To ensure students participate in daily physical activity each day for a minimum of 20 minutes of continuous moderate to vigorous physical activity provide intramurals, non-competitive school programmes and support the walking school bus program! Bring your water bottle to school and refill it so you can sip water all day long. You are your child’s best role model. Choose to drink water first for thirst. Be a role model for students. Bring a reusable water container and drink water throughout the day. Are you feeling sad, mad or frustrated? Are you dealing with hard things in life? You are not alone. Talk to a parent, trusted adult or teacher. It is okay to ask for help. It is often easier to get through things when you have help at your side. Be a friend to a student going through hard times. Take time to find out how your child is feeling. Allow your child to explain what happened and why they are feeling bad. Respect your child’s concerns. Say something positive about the situation if you can. Comfort your child. Help your child to think of ideas to cheer themselves up. Help them to use their coping skills. Explain to school staff how they can help support your child. It is okay to ask for help. Work together to create a positive and inclusive environment so all students can feel safe and respected. Train students, teachers and administrators to have the skills to appropriately address bullying. Be proactive in helping to break down barriers. Be supportive and encourage students to stand up for one another by encouraging the organization of societies and activities that promote awareness and inclusiveness. Reach out to your parents for extra help! They can provide you with the right resources to help you accomplish school tasks without mistakes, but remember mistakes can help you learn new skills. Let your child relax after school. Ask your child about their homework. Help your child to create a positive work space and time to do their homework. Offer praise while your child is working. Prompt your child to solve problems on their own. Reward your child when they have finished their work. Get to know your child’s teachers. Become involved in your child’s school community! Remind parents about mutual caring for their child’s success. Encourage them to attend parent-teacher conferences to learn how working together in a partnership will help highlight the student’s strengths and weaknesses to create effective study strategies to achieve success. If money is stopping you from participating, talk to an adult you trust at school. They can help you to join in school activities at low to no cost. 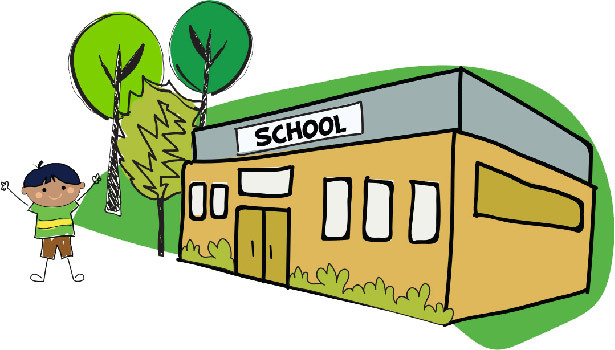 School is a place where children and youth have access to free resources. If money is stopping your child from participating, talk to someone who works in the school who you trust for support. Reach out and ask for help. Continue to practice principles of equity and inclusion. Consider applying for grants and advocate to have money available so that all students can participate. This will allow all students to engage and feel included in their school.